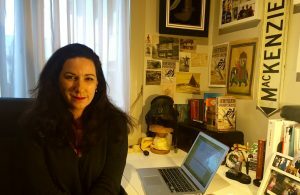 It’s time for another in my series of interviews about breaking into publishing – My First Time. Today I’m delighted to welcome Kirsten McKenzie for a cuppa and a chat. Q: Can you remember writing the first story you actually wanted to write, rather than those you were forced to write at school? What was it about? A: The first story I can remember writing at school, which I was inordinately proud of, was about the shapes of the clouds I could see. I wish I knew where it was now, as I recall being praised by one of the rsten Mcmeanest teachers at school. High praise indeed. As for writing the first story I wanted to write, which I finished, that was Fifteen Postcards, my first novel. I have another book, which I started years ago, languishing in a drawer. My mother constantly pushes for me to finish it, but somehow it’s still in that drawer, waiting for the right time. I’m afraid that if I look at it now, it won’t nearly be as magical as I remember. 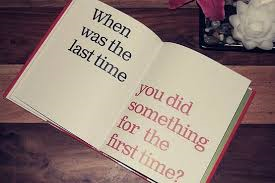 Q: What was your first official publication? 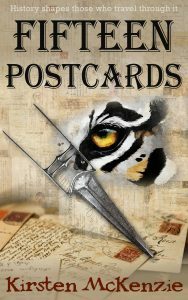 A: My first official publication was my historical fiction novel Fifteen Postcards, published in 2015. I have had several articles printed in local newspapers, and trade specific publications, but they had no real impact on my life. The publication of my novel has. I’ve quit my part time job in our family antique store, leaving my brother to run it. Whilst the royalties from Fifteen Postcards have been pleasant, I don’t wan to give people the idea I’m living off them, far from it, but I have the luxury of being able to call this writing lark my full time job, and I’m working towards making it a standalone career. Q: What affect did that have on your life? A: I’ve changed my job title from Antique Dealer to Author. That was pretty exciting when I wrote that down on my immigration form last time I travelled. And now I work from home. I miss the customer interaction I had at the shop, but this was a lifestyle choice, and I think I’m loving it. I will never forget making the postman wait while I opened the package containing the very first copy of Fifteen Postcards. The poor man. I grabbed his arm and pointed like a mad woman, saying, “Look, a book, with words in it”. Q: Does your first published story reflect your current writing style? A: Yes, yes it does. I aim to provide deep descriptive passages, with more than a hint of historical authenticity and strong characters. A: I’m working on my third novel – The Ruination of Art. Set in modern day Florence, Italy, with a small cast of characters. It’s entirely different to my first two books and is a refreshing change. I’m enjoying getting to know my new characters with all their foibles and insecurities. My second novel, The Last letter, is the sequel to Fifteen Postcards, and is now with my editor. It is due for publication on the 1st of November this year. Kirsten McKenzie worked in her family’s antique store since she was a toddler, where she went from being allowed to sell 50c postcards in the corner of Antique Alley, to selling $5,000 Worcester vases. Now a full time writer, she is the author of the highly praised novel Fifteen Postcards, and her second book, The Last Letter, is due in November. She lives in Auckland, New Zealand with her husband and two children.